ANANTNAG, OCTOBER 18: Director School Education, Kashmir, Dr G N Itoo, has impressed upon the teaching fraternity to work with passion and dedication towards imparting education to the specially-abled students. 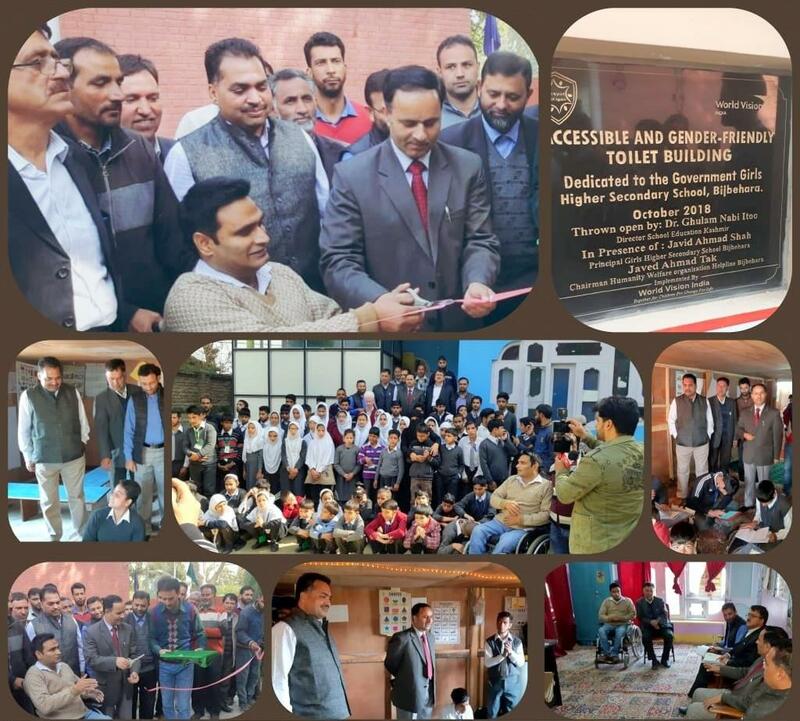 "Such students deserve a special treatment and their educational, physical and psychological development must be equally prioritized in government as well as the private sector", Dr Itoo said while interacting with the students and teachers at Zaib Aapa Institute of Inclusive Education, Bijbehara, Anantnag. While attending the 'Sir Syed Day Function' at Sir Syed Memorial Educational Trust, Dooru, as a guest of honour, DSEK paid glowing tributes to Sir Syed Ahmad Khan and his mission as a reformist and educationist. He expressed his gratitude to the trustees of the school for their extraordinary contribution in academics and personality development of the students of the area.